HCB Builds Luxury Center-Console Yachts For The Discerning Owner. HCB Yachts has become the Ferrari of the boating industry, just don't call them a boat. They are "Luxury Center-Console Yachts" as stated by the builder and frankly, they deserve the distinction. 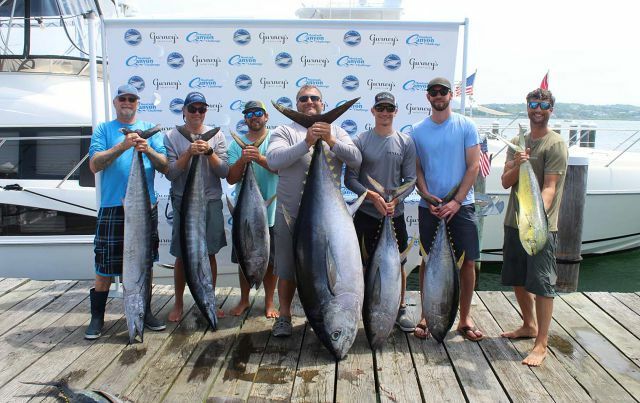 The hype around the 53 Suenos, and now the 65 Estrella dubbed 'The World's Largest Center-Console', has generated a buzz among boaters both positive and negative. "Why does any boat need 5 outboards with over 3,000 horsepower?" some have scoffed. "Why not? ", is the usual response. Owning a HCB is not for everyone, much like owning a Ferrari isn't. Why does one need to reach 60mph in under 3 seconds? Simply because we can. It's the innate drive within us all to succeed, to be different, and to strive for things greater than what humanity believes to be possible or reasonable. History is made by those that break the rules and push society's expectations across the threshold of normality. There is a mystique that comes with owning a Ferrari because it is so expensive, but it's much more than that. The Ferrari brand is one of luxury, quality, power, and exclusivity, a commonality unobtainable for almost every other auto builder in the world. Similarly, HCB is not your Dad's Yellowfin and the only way to really understand the significant differences is to experience it. HCB Yachts aspire to be more, and so do their owners, who are truly a different breed. 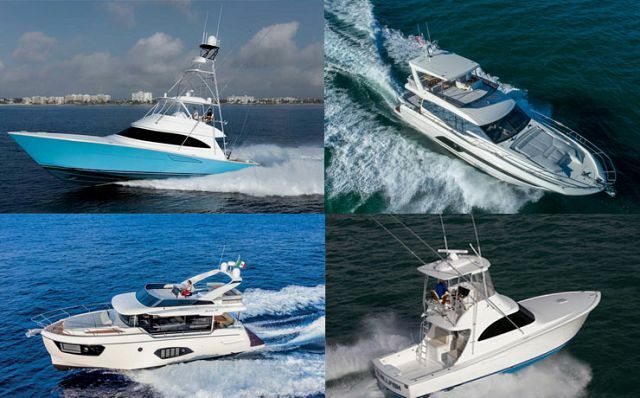 HCB Yachts, formerly known as Hydra-Sports, actually began in the 1970's as a bass boat company in Tennessee. After being purchased and re-positioned in the 2000's by Elias De La Torre III, the company now focuses on creating exceptional quality yachts on a low volume level. This is not a "churn and burn" production boat company. Each HCB is crafted to be unique and deliver an unmatched customer experience at every touch point. Elias' vision for HCB goes beyond just selling enough fiberglass to turn a profit, but rather re-invent what it means to own a center-console. "There are lots of boat builers in the world," says Jay Hendrix, Vice President of SI Yacht. "But very few have what HCB has at the heart of its company. Elias was a Hydra-Sports dealer originally who believed in the product so much he bought it and transformed everything it stood for. He has a passion for it and wanted to take it to the next level. He has a true desire to be better than everyone else and it shows in the product. There's nothing like HCB on the market and it all starts with Elias." HCB is investing as much time and effort into the owner's experience as they are into the construction of their yachts. Imagine purchasing a 42' center-console, using it for about a year, and then sending it back to the factory to be cleaned, compounded, polished, and have every imperfection that comes with normal use be fixed. The HCB team believes in what they build, so much so that going above and beyond what other builders do has just become its culture. There is so much substance to what HCB does beyond just the sale of the boat that it has actually gotten its own name - The Crucero Experience. It begins with a custom build tour of the HCB factory near Knoxville, Tennessee. While at the factory, your personal Crucero Guide takes you through how each boat is constructed, allows you to see the craftsmen at work, and begins the discussion process on what the owner would like on his or her boat. 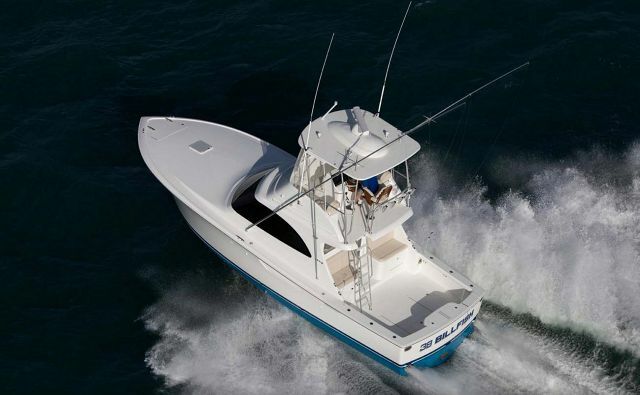 Every HCB is built to the unique and personal tastes of the owner from engine power, colors, materials, and other fishing or cruising options. Owners taking delivery of their new luxury center-console yacht can expect the same thorough attention to detail. The introduction of the customer's new yacht might last several days through sea trials, captain's tutorials, and on-water experience to build confidence. The interaction with the HCB factory never stops and with the service and support from SI Yachts, every HCB owner has a full team that's behind them whose mission is to make sure their experience is nothing short of remarkable. There's no debate when it comes to whether or not HCB Yachts are expensive. 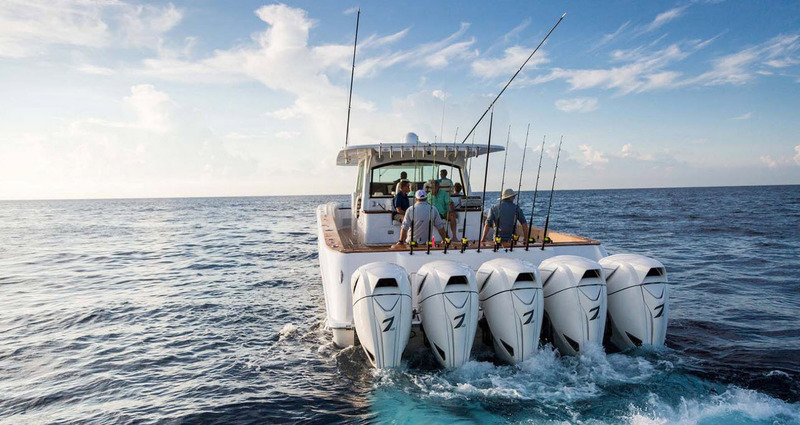 The new 65 Estrella costs more than $3 million which is equivalent to similarly sized sportfishing yachts and certainly more than the higher-end, mainstream center-console boats on the market. But like Ferrari, it's very difficult to put a price tag on all of the details that go into its performance. In a recent interview, Enrico Galliera, Ferrari Corporate, was asked what makes Ferrari every man's dream car. He replied that it was Ferrari's goal to "deliver the best driving experience. That's what makes Ferrari different. We call it 'emotion to drive. If you're just in a Ferrari and you drive it, you come out of the car and you smile - emotion to drive." Each HCB Yacht has hundreds of small details that go into the creation of each vessel that result in performance that is unmatched and a feeling of pride for both the owner and the craftsmen behind it. There are details like the non-stepped hulls that are at a 23-degree deadrise with 10-degree reverse chines and Carolina flare that combine for a softer, drier ride. Or details like the livewells that are pressurized and fill to the top to prevent sloshing and keep the bait fresher. There are features like the keel being reinforced with Kevlar or the cabinetry which is real wood and handmade for every yacht. It all looks good on paper, but it ultimately doesn't sell the product. The lucky few that pull the trigger on a brand-new HCB are the ones with the wide-eyed glare and smile, the ones that have had the throttle under their control and the wheel in their grip, the ones that have experienced.... that emotion to drive. 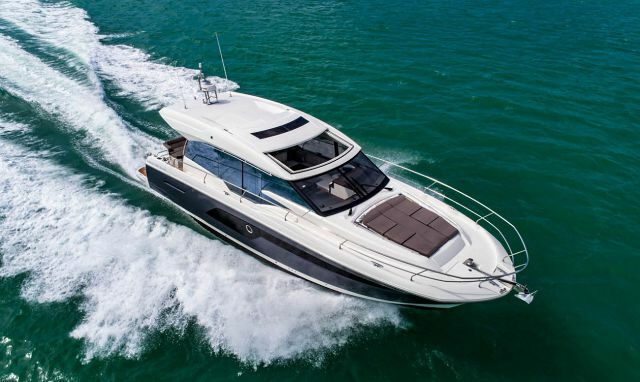 Currently in-stock is a HCB 42 Siesta with quad Yamaha 425's that will be featured at the New York Boat Show this week. Also coming to the boat show and in-stock is the HCB 39 Speciale featuring triple Yamaha 350's.